OCTOBER 20--Cross one lawsuit off Eminem's litigation list. 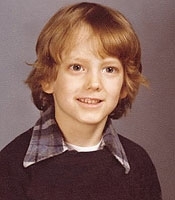 A Michigan judge Friday tossed out a complaint filed by a former grade school classmate of the star who claimed that he was defamed by lyrics from "The Slim Shady LP," the rapper's 1999 debut. In a 14-page ruling, a copy of which you'll find here, Macomb County Circuit Court Judge Deborah Servitto used rap verse to dismiss DeAngelo Bailey's suit, ruling that, "The lyrics are stories no one would take as fact/they're an exaggeration of a childish act." Submitted by deken on Sat, 2010-10-02 13:55. LOL! This is awesome. I love a judge with a sense of humor! She's no Eminem but she gots skillz.